St. Louis sends rookie forward Jared Thomas from San Antonio to Tulsa; Oilers release two players to get roster to 23. TULSA, OK – The Tulsa Oilers, proud ECHL affiliate of the National Hockey League’s St. Louis Blues, and Head Coach Rob Murray announced Wednesday that the Blues have assigned forward Jared Thomas from San Antonio to Tulsa. The Oilers also released forwards Bobby Watson and Sam Wilbur from their standard player contracts. Tulsa’s season-opening roster will be announced Thursday, consisting of 23 players. 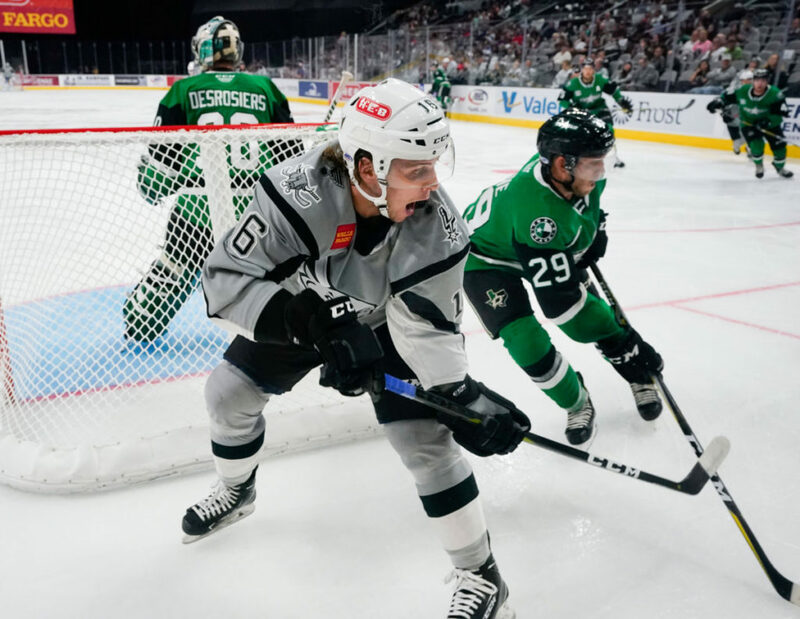 Thomas, 24, signed his first pro contract with the American Hockey League’s San Antonio Rampage in April after finishing his senior season with a National Championship at the University of Minnesota-Duluth. The Hermantown, MN native suited up for the St. Louis Blues’ rookie team in the NHL prospects tournament in Traverse City, MI in September, and participated in the Blues’ main camp. Thomas compiled 60 points (21g, 39a) in 163 college games from 2014-18 for the Bulldogs, and was selected to the NCAA All-Tournament Team after UMD’s 2-1 win over Notre Dame in the National Championship game in April.